A great gift idea for anyone young at heart! Available in hard or soft cover. Linda Rash Pilkington lived, for the first thirteen years of her life, in a house that was over one hundred years old. The house was planted on the rich dark soil of Iowa, and was reached by a long lane that turned down from the main road. On the farm was a large grove where she and her sisters and brothers played, and that was her favorite playground. It was a place where they hid, explored and imagined. Linda wrote her first stories there. When she was alone in the quiet of the woods, surrounded by immense trees, the ground covered with woodland violets, and bluebells, it seemed like a magical place. And when she wrote Arthur Collins and the Three Wishes that�s how she imagined The Forest Savage, where Arthur Collins and his friend, Elaine, crept silently through the darkness to watch the wicked Witches of Witchenton Woods, as they circled their fires, mixed their vile potions, and cast their magic spells. Linda has written her entire life. 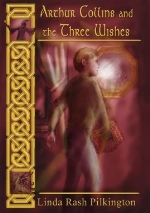 The first version of Arthur Collins and the Three Wishes was written for a contest. She learned about the contest late, and had just 72 days in which to write the book. Since that first manuscript, Arthur Collins has had numerous changes and rewrites before appearing here. 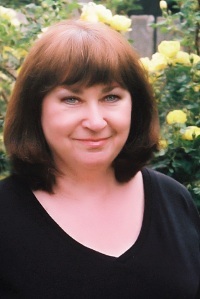 Linda has lived in Colorado for many years with her husband Will Pilkington; her daughter lives in California. Linda owns and operates, City Castles LLC. On the internet as: http://www.citycastles.com The website features book club products, greeting cards and Christmas cards in the City Castles online store at http://www.citycastles.com/cards.html . The pictures on the City Castles greeting cards and Christmas cards also serve as the illustrations for the Catherine�s Castle story, offered online at http:/citycastles.com/catherinescastle/index.php . Arthur Collins and his brother Lance, from the book, make their first appearance in the Catherine�s Castle story. Catherine, Melinda, and Gwynie Emerson from the online story are Arthur and Lance�s cousins, and are important characters in the Arthur Collins book series. The old picture of the little boy, shown here, is of Linda�s Father at age five. She wrote about Arthur Collins when he was age five, in Chapter Five: The Dragon, in Arthur Collins and the Three Wishes; that picture is how she imagined Arthur�s face would have looked when he was five. The rosebush behind Linda in the photo above was originally on the farm where she lived as a girl. In fact, her father found the wild yellow rosebush along a river when he was a boy and transplanted it to his parent's farm, which later became his farm. Her father would bring roses from the bush to Linda's mother each wedding anniversary. The rosebush was eventually transplanted to her brother's property, then years later, Linda and her sisters each received a part of that original bush. Linda's wild rosebush now thrives far away from Iowa, in dry Colorado.